Expanding to European markets? If so, you need to reach out to business contacts in those areas. With Bookyourdata.com, you can find leads overseas easily by pulling this European contact directory, which is full of the emails, phone numbers, and contact information of local professionals. With Bookyourdata.com, it's easier than ever to reach overseas audiences. You can reach out to business contacts in all of these countries and meet with the key influencers who can further your brand. 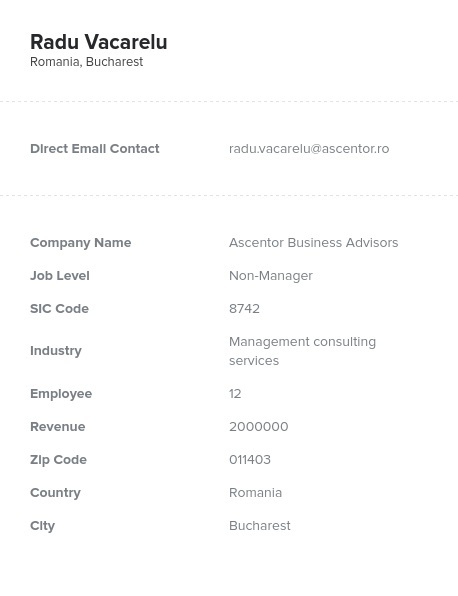 Today, within minutes, you can download this list, integrate it into your CRM, and start emailing, calling, and writing to these contacts. Pull it and expand your global reach to European markets today!